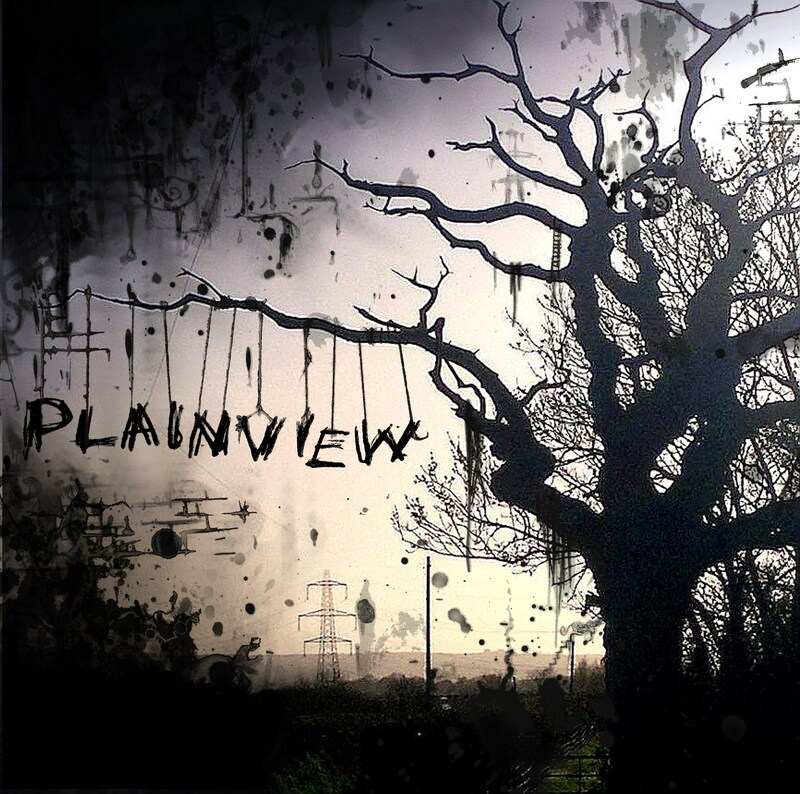 Plainview is a band made up of talents musicians from various projects, most notably David Smale from The Yardbirds and Chris Williams from Counterpoint. Their self-titled debut release has been featured with Metal Hammer and the band has certainly got a sound you won’t be disappointed by. Opening up with Slip Through Your Fingers, the band shows off great versatility with some interesting use of dynamics, with soft verses that get heavier later on, and really cool chorus with some nice harmonies involved. There’s a good variety of musical moments on display, with some nice use of clean chords and a layered guitar sound too. The Last Word is a slower track that really shows off Smale’s vocal abilities, with some chunky guitar riffs backing him and a really powerful and to the point rhythm section really giving the track some groove. The album has plenty to offer in its 40 minute run time. 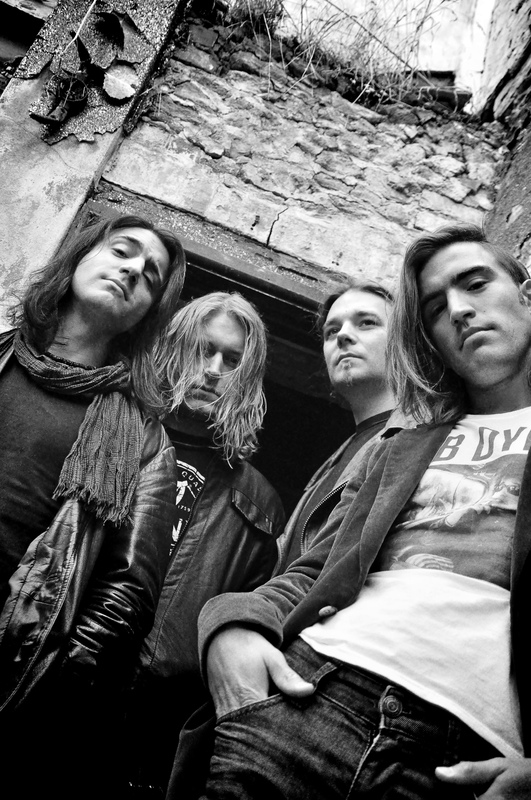 From slightly more upbeat numbers like Wasted Words to songs like Look Away which has a more melancholic feel to it, the band has managed to pull off a variety of different sounds without sounding like they “trying too hard.” This keeps the sound fresh throughout the album, and the band’s songwriting shines throughout. No Other Way is one of my highlights of the album here, with some borderline progressive riffage and a keen sense of dynamics on display, and some really great vocal melodies too. The band feels really tight here with some great playing all round. Take What You Want has a kind of similar approach and it would be cool to see the band expand on these heavy, proggy riff fests. The album closes on The Writing’s On The Wall, which opens with some nice clean guitars and a soft vocal, before slamming into some mighty guitar chords. The dynamics on display are again quite impressive, and this song really solidifies what the band is about. The production is pretty good here, and the vocals and guitars stand out the most for me. The drums and bass sound great but I feel perhaps they could have been given a little more presence in the mix at times. Overall it’s pretty great though, to be honest. Plainview have crafted a really great sound with this album, I am especially impressed with their tightness, especially on a debut regardless of previous experience. Working with a new band is never just easy off the bat. This album is well worth your time. Hinckley’s Resin have been storming the UK scene for quite some years now, and their new single Burn shows off what this Grunge/Metal act are capable of. Opening up with a cool lead guitar, the nice aggressive vocals smash into the heavy main riff with ease. The main verse has a great bass groove and some more melodic vocals, with some nice guitar work and subtle drumming underpinning the sound. The song moves between quieter and heavier moments really well, building tension nicely throughout, with a cool chorus with some nice layered vocals and powerful riffing, and some good solid soloing too. There’s some more screamed vocals layered with clean ones after that and then back into quieter moments. The band switch between different sounds really well, with a flair for song structure that makes for a good amount of stuff happening in just 4 minutes. The production is spot on here; everything has its right place in the mix which is nice and clear. The vocals and guitars especially shine here with great sounds and double tracking involved. The bass sounds nice and gritty and the drum sound really supports the mix as a whole. 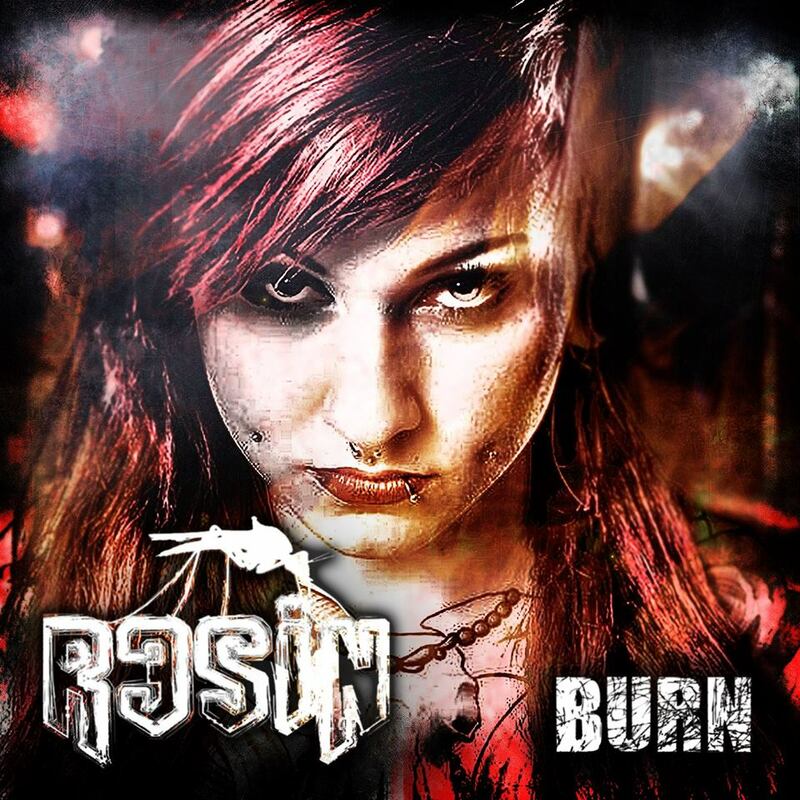 Overall Burn is an exciting single from Resin, with plenty on offer to get things heated up for their upcoming album! 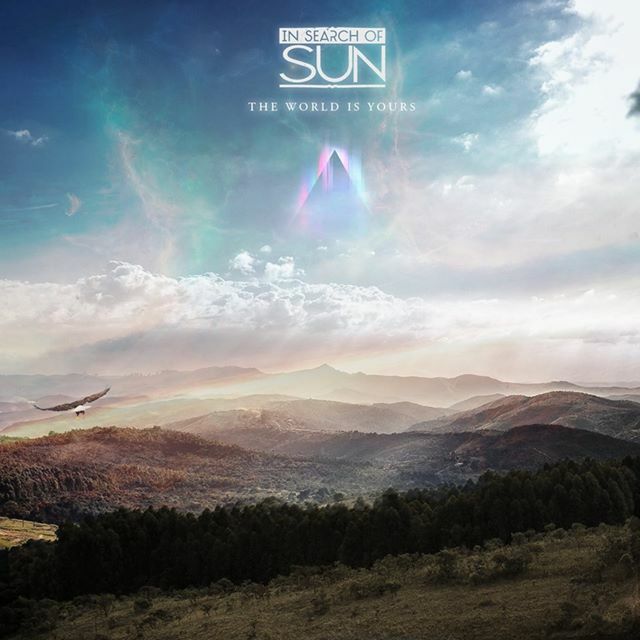 In Search Of Sun – The World Is Yours. This is band I’ve managed to catch a few times over the last few years or so. My own band played with these guys a fair few times when they were called Driven, and now with a new name In Search Of Sun and having finally recorded their debut album The World Is Yours, this is a band to be reckoned with! They have always been a really great live band and after their Debut EP it’s great to hear their powerful sound on a full length album. The band fades in on title track “The World Is Yours” powerful chords, some atmosphere building drums and a cool bassline to get us started. The band then crashes into a complex sounding lead guitar riff, with some great drum fills. 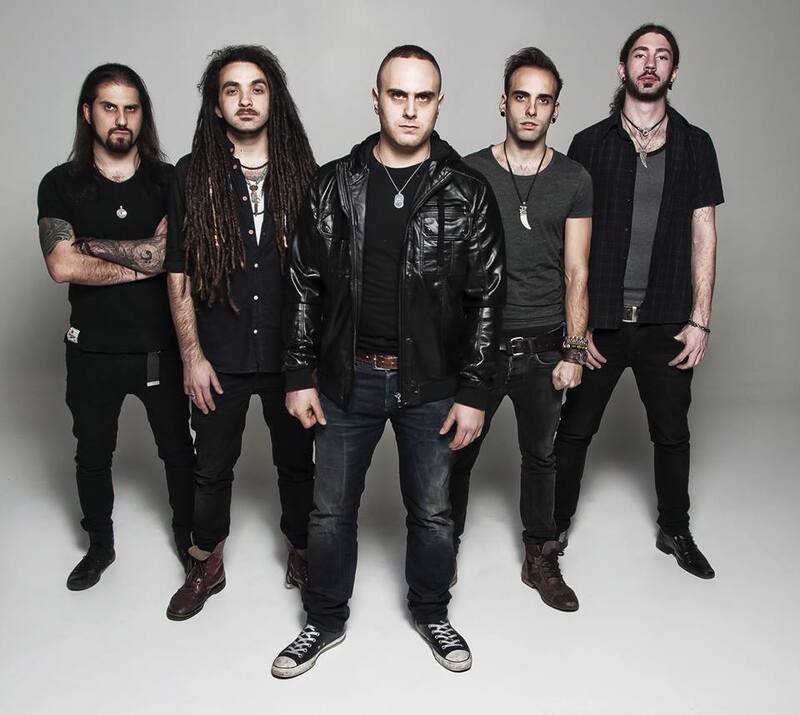 The band then hits the first verse, with an almost groove metal with the super powerful vocals of Adam Leader, one of my personal favourite frontmen on the UK scene right now cutting through the mix. His sense of control and melody meet with aggression in a way that still astounds me. Even better, I am witness to the fact that he pull it off live too! The chorus here is really strong, and well supported by the band as a whole, no-one overplays at any point but everyone has their moments right from the word go. “Give In” with a powerful rhythm backing some more cool guitar-work that showcases a lot of skilled musicianship. They keep a tight groove even whilst performing the more technical stuff. The vocal harmonies here are really powerful, with a very modern feel, but also reminiscent of the more skilled thrash singers like John Bush. This song gets a bit heavier with screamed vocals later with some really low down guitar playing before introducing some more cool lead guitar work in the bridge section, which builds up really well before smashing into some more heavy riffage to finish. “51 56” has a really cool bass groove, before the guitars bring in a really cool palm muted melody. This one has a different feel to the others, a bit more on the melodic side this time, but still with plenty of cool moments, some nice lead guitar throughout too. This one feels a little bit experimental in some places, but also with some of the bands calling cards such as the great chorus. 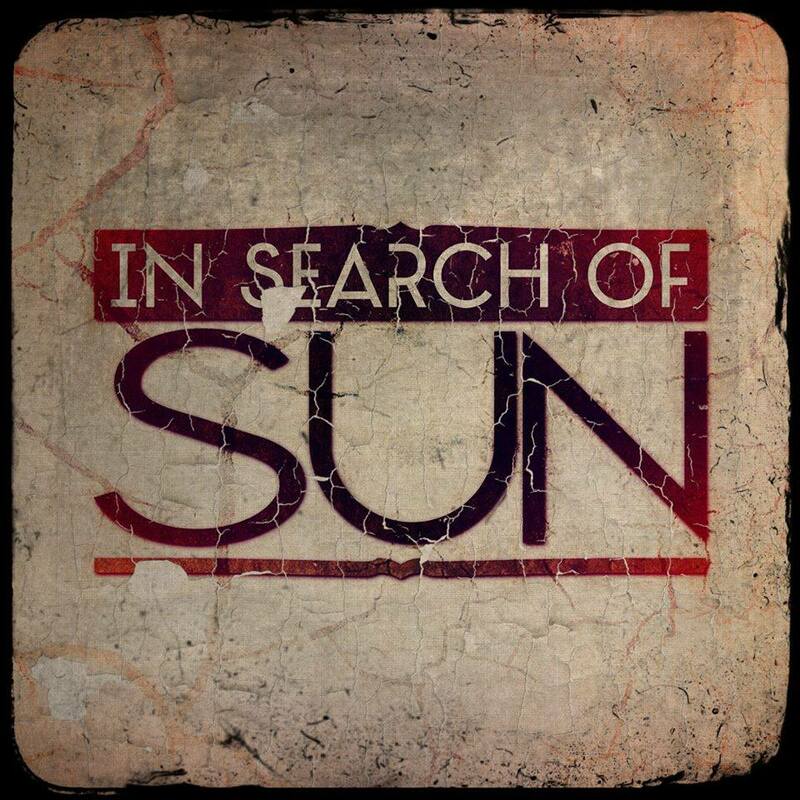 “In Search Of Sun” is another cool track, with some interesting guitar delay effects with some cool drumming too. This one is a bit more melancholy sounding, with a nice layered sounding verse with yet more cool vocals that sound really emotive here, backed by some more great rhythm playing. This one of my favourites on the album, with lots of dynamics and a powerful chorus that I remember rom the last time my band shared a stage with these guys back in late 2013! From the progressive sound, great vocal harmonies and bass guitar playing of “Idle Crown” (which has awesome clean sections with some great all round playing) to the awesome full on heaviness of “Burn” and “To The Axe” this band proves they have the songwriting chops. This is some seriously dynamic sounding stuff, with lots of different moments unified by the sound that In Search Of Sun have created. “Skin” is a pretty cool track, with slightly overdrive guitars meeting with some harmonica on a track that is probably the closest thing to a ballad you’ll hear on this album, before it gets heavier later on. “Draw The Line” is also pretty cool, with a nice blend of light and shade but plenty of heaviness mainly. “The Eyes Behind I” is a really cool way to finish up, there’s some moments that sound almost jazzy, with some great skilful bass playing underpinning some really cool guitar lines and supported by tight drumming. The vocals again are really well done too, with some great harmonies and melodies going on. This one closes the album in style with a good dynamic song. The production is spot on here; everything has been recorded and mixed really well, with the vocals and bass standing out most to my own ears. It’s all pretty well done though, plenty loud without falling victim to the loudness wars too much, and an overall very heavy sound encompasses the release. I have been trying to refrain from the whole “track by track” review lately but I couldn’t help myself with this release. This is an absolute corker of a debut, and really raises the bar for bands not just in the area but in the nation as a whole. These guys are fantastic live performers and this album will serve to solidify their reputation and showcase some fantastic musicians and songwriters. In Search Of Sun, with material this strong the world could indeed be yours! Birmingham rockers Fire Red Empress have just hit the scene with their debut EP, Paint Me The Devil. Though a fairly short one in length, this is a powerful and had hitting statement by the band with plenty of energising riffs and a style you really ought not to ignore in an upcoming band. Opening up with “Left Unspoken” and its awesome introduction riff that feels a little doomey in places, that when it meets with the great layered vocal approach feels like Queens Of The Stone Age meets The Sword. The overall offering on this track is really heavy, with a tense overall sound, with a great sense of groove too. “Paint Me The Devil” has another really great start, with some nice layered guitars painting (no referential humour intended) a really cool atmosphere. The vocals again are really cool here, and the song is nice and dynamic, with softer moments meeting the heavier moments to make something really cool. The chorus is another belter here, with nice vocal harmonies and a nice aggressive approach. “Behind The Veil” closes the EP in style, with a longer track at just over 6 minutes. This is performed really well and keeps it interesting throughout, showing that the band can handle the longer stuff just as well. The first verse has a nice drumbeat and some more atmospheric sounding guitars rather than straight up riffage, before exploding into the heavier stuff, making it quite impactful. This is a cool song with a lot going on; plenty of different riffs to keep it sounding fresh, and some great songwriting brings it all together. The EP was produced by Volbeat’s Jacob Hansen, and it’s a nice tight and modern sounding effort, the drums are nice and thumping, and the guitars are very chunky. The vocals shine more than anything, with lots of layering and the like done to make them sound really powerful. The bass is a little low at time for my personal liking but it is all a solid mix nonetheless. 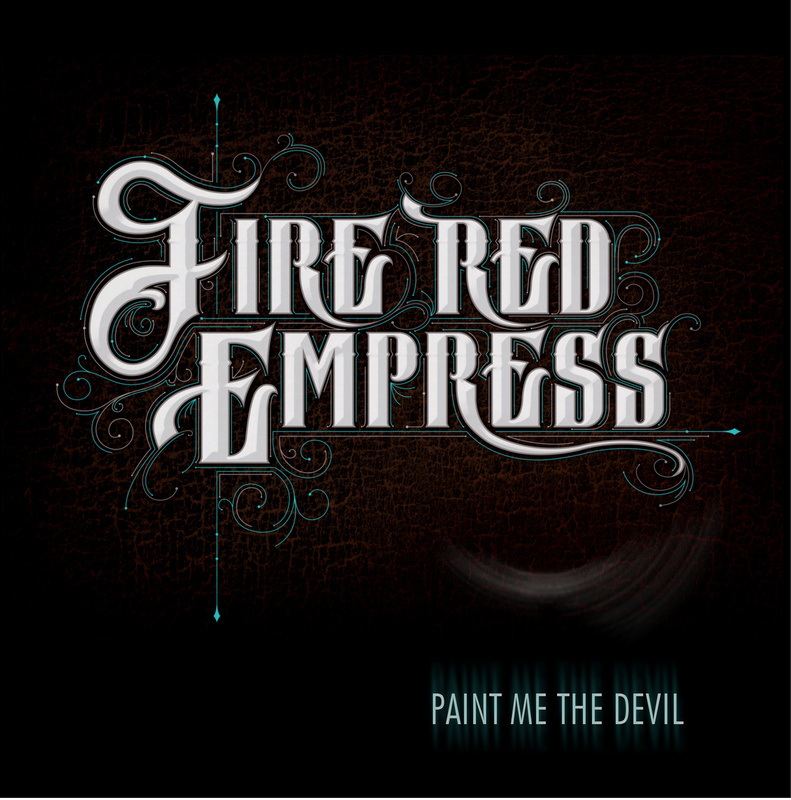 Paint Me The Devil is a great introduction to Fire Red Empress, and says more in three tracks that some can say in a whole album! There is plenty of emotion on show from the band here, with great songwriting combined with skilful musicianship to make something definitely worth checking out! 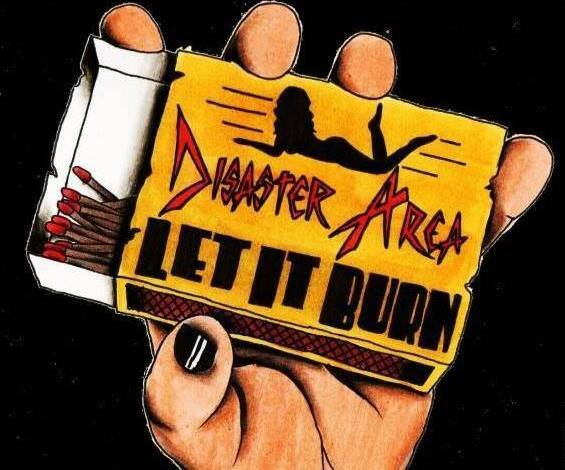 Glasgow’s Disaster Area are whipping up a storm in Scotland, with lots of shows supporting legends like Savage and the like. I actually ran into these guys whilst on tour with Monument and Kaine, and they opened the show with a glam rock style that I felt was tinged with a little of the band Nazareth’s style, especially in the vocals and classic rock meets metal approach to guitar. They peaked my curiosity and were kind enough to send in their debut EP for review! The EP opens up with a subtle intro riff of “Dancin’ On The Edge” that then gets harmonised before busting out into a very old school style riff with some great vocals full of attitude, with lots of high notes too. The lyrics are equally rebellious sounding and it works really well, the song is full of youthful energy and is a good start to the EP, with a cool midsection that keeps things interesting! “Queen Of The Web” opens up with another very 70s/80s sounding riff full of grit, with plenty of speedy riffs later on and a nice performance from the rhythm section overall on this one. “Getting Pretty Sick Of This” follows this up with a bit more of a midtempo rocker that has a little bit of an Alice Cooper vibe to it, with some cool lyrics and riffage that would have fitted in perfectly in that era, and a nice guitar solo tops this one off well before a bass break that works really well to build tension too. The EP finishes up with “Let It Burn.” An old school drumbeat a little bit like something Queen might have done meets a heavier riff with a nice meaty groove to it that is helped along by the bass guitar here. The chorus here is really cool, another really old school vibe to it. Some cool stabbing guitar sections later on are met with a cool solo over the top and the main groove of the track keeps it rocking on to finish the EP with a good sense of style. The production is really quite good, especially for an EP. It sounds very much like it has come from the era it is quite clearly influenced by, especially in the vocals and guitars. The drums sound nice and tight and the bass is nice audible, keeping down the groove nicely too. This is a great little EP from a band that is clearly determined to keep at it; here’s hoping for an album of similar stuff soon! It’s always nice to hear a bit of proper hard rock, and Birmingham’s Silent Jack delivers just that with their EP snakebite. With plenty of work ahead of them, this is an EP that should see them through it on their way to recording a full studio album and playing plenty of awesome shows. Opening up with “Brand New Start” we’re introduced to an awesome riff full of bite. The drums crash in and bring us into the feel of the main riff, with an awesome lead guitar line too. The vocals are awesome, with an old school feel to them and a nice sense of melody; a little like Axl Rose with a bit more focus. Some awesome solos top it all off to start the EP off in style. “King Cobra” starts off with a nice kick drum setting the tempo before the main riff kicks in. There are lots of nice riffs involved here, some more cool vocals too, all contributing to a great grooving sound overall. “Going Down” follows this up by slamming straight into a nice sounding guitar riff, before the band crashes in lending the riff plenty of strength for the upcoming introductory guitar solo. This is yet another really cool song, nice riffage and a nice upbeat feel. “Love Factory” Is easily the longest song on the album but for good reason, there’s plenty of awesome soloing and jamming to enjoy here, with an awesome bass groove midway through too. A nice chorus and in general good songwriting keep this one nice and interesting. “Angels Cry” is an acoustic ballad kind of track, with a nice vibe to it, and the song picks up and gets a bit more rocking later, with some nice guitar solos and a great chorus. “Made In Heaven” is an awesome track that borders on some old school heavy metal riffs, with some more awesome vocals and a nice pounding rhythm section throughout, making this a great solid track, with another cool chorus involved too! The EP closes with “Hot Luvin’” which is a nice rocking track that brings the EP to a close in style; plenty of style, heavy riffs and a catchy chorus with a lot of 80s influence. The production is pretty cool, especially for an EP, a nice shiny drum sound and the vocals have been produced really nicely too. The guitars gel really well with the bass and drums to make a nice overall sound too. Overall this is a pretty awesome hard rock EP full of great riffs and some cool musicianship. Snakebite is a band that will go somewhere if they stick at it! Hearing a full album would be the ieal next step! 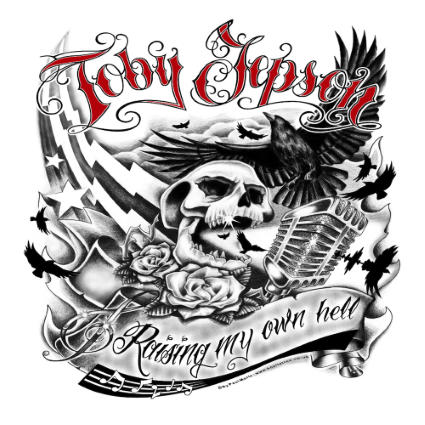 Toby Jepson, who you may know from his time in the popular band Little Angels, has now released a mini-album called ‘Raising My Own Hell.’ This is an acoustic-rock album featuring lots of passionate vocals and a real ‘in the room with you’ atmosphere. Opening up with the title track ‘Raising My Own Hell’, an acoustic guitar sets things into motion. The drumming is nice and relaxed here and there are some nice keyboards and saxophones involved too. The vocals are really well performed, melodic yet full of attitude too, the prime example of a rock vocal really. The song has a great groove and vibe to it, with a nice chorus too. ‘Dear Mama’ is equally as raucous sounding as the previous track, with a more emotive chorus this time round. There are plenty more acoustic guitars and a great atmosphere to this one, with a grooving main riff and another powerful vocal performance from Jepson. ‘Patience Of A Saint’ has a bit of a darker feel to it, with a nice deep sound, and some rocking riffs, despite being on acoustic guitars as opposed to electric! There is a cool breakdown later on that adds a little variety to the proceedings too, with a cool build up as well! ‘Four Letter Word’ is an awesome track, starting off with a guitar part that really sets a dramatic scene, with Toby’s lead vocal providing a great story over the top with his really great singing performance. ‘Shoes’ is a softer song with some great lyrics about looking through other people’s eyes, or rather… walking a mile in their shoes perhaps! This is a really nice and emotive song with plenty to offer, and being the gentlest song on an acoustic album must always be somewhat of a challenge at times! The album finishes with ‘Shadow Boxer’, and this is a really cool way to end the release, with a nice jazzy feel to it, lots of brass instruments involved and a really swinging groove to it. This one certainly stands out for being very different from the rest of the mini-album, but it certainly doesn’t suffer for it, offering some variety to the already very cool album. The production is good, considering the amount of different instruments used here. Everything stands out nicely and yet gels well together to form a really nice sound overall. The vocals are nicely recorded with plenty of clarity, and just a little grit. Overall, this is a really cool release that fans of something a little different should appreciate.